With Zadar becoming a hub for tourists in Croatia, the demand for intercity transfers from Zadar has become increasingly popular. Transfers from Zadar to Dubrovnik, Split, Sibenik and even Zagreb are an affordable and a convenient way of travel. 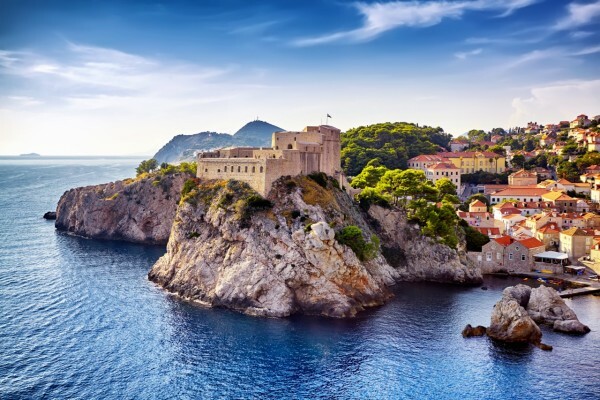 A private transfer from Zadar to Dubrovnik or Dubrovnik to Zadar is the most efficient and comfortable way to travel between these idyllic destinations. A Dubrovnik to Zadar transfer will take you 4 hours and is a pleasant drive along the Dalmatian coast. If your traveling across Croatia a great idea is to make your transfer into a day trip. By that, we mean incorporating a few stops before getting to your final destination of Dubrovnik. Its a cost effective way of seeing more of the beauty of Croatia. Popular stops along this route include Sibenik, Krka National Park, Trogir, Split, the Makarska Riviera, Mostar and Ston. All you simply need to do is determine how much time you would like to spend in a destination and we organise it. If you are looking for a Zadar to Dubrovnik taxi transfer look no further, then Octopus Transfers Croatia. We are number 1 on TripAdvisor, have the most competitive price for a private transfer from Zadar to Dubrovnik. Providing our guests with the best service possible is our top priority. As such, all our Drivers are English speaking professional Drivers; our vehicles have Wi-Fi so you can stay connected and we offer complimentary water in our vehicles. Most importantly we look after your safety and will ensure you have a comfortable ride. All you need to do is sit back, relax and let Octopus Transfers Croatia take the wheel and we will get you from Zadar to Dubrovnik in style. Prices for a transfer from Zadar to Dubrovnik start from €310 and we have sedans, station wagons, minivans and minibuses ready to take you on the journey of a lifetime.